ASUS ESC4000 G4 is built on the Intel® Xeon® Scalable Platform to deliver incredible 2U server performance, packing incredible power into minimal space. 16 DIMM slots provide best-in-class memory capacity and bandwidth, and an integrated I/O controller on the processor eliminates data transfer bottlenecks caused by discrete I/O chipsets for reduced latency and dramatically faster system performance. ESC4000 G4 offers eight full-length PCI Express 3.0 x16 (4 at x16 Link or 8 at x8 Link), one low-profile PCI Express 3.0 x24 with support of a riser card for additional one PCI Express x16 (x16 Gen3 Link) and one PCI Express x8. One PCI Express x8 for internal HBA/RAID card. Flexible expandability in a 2U form factor supports diverse storage and networking applications to meet the demands of future expansion and high scalability. 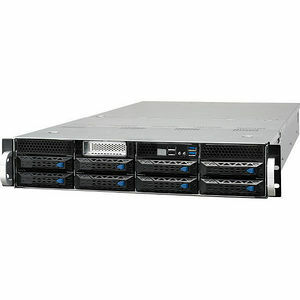 ESC4000 G4 features numerous user-friendly design features that simplify server maintenance. The server's Q-code is visible from the outside of the case to make diagnosing issues easier and more convenient. A tool-less chassis design is included for easy server installation and removal, and a tool-less, hot-swappable fan provides faster and simpler maintenance. ESC4000 G4 features full-bandwidth port-to-port OCuLink for two NVMe storage devices with 3X faster transfer speeds compared to PCIe switch IC solutions. One M.2 slot accommodates 2280-size SSDs with support for additional OS storage and PCIe 3.0 x4 bandwidth - 5.3X faster than 6 Gb/s SATA III - for faster boot speeds. ESC4000 G4 is ideal for data centers with high storage and processing demands. The latest ASMB9-iKVM module enables remote BIOS updates, standalone KVM/Java utilities, video recording and BSOD capture. With out-of-band management, ASMB9-iKVM provides around-the-clock remote monitoring and diagnostics - even if the server operating system is down or offline - through a user-friendly, web-based graphical interface that works with all major browsers. ASUS Control Center (ACC) is a centralized and integrated IT management platform for monitoring and controlling ASUS commercial products, including servers, workstations and digital signage. ACC enables easier server management with functions such as BIOS updating without restarting the system, remote monitoring of multiple systems via mobile devices, and one-click software updates and dispatching. 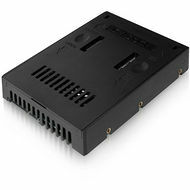 ESC4000 G4 features a smart thermal radar design with more ambient thermal sensors for the CPU, memory, GPU, SSD, LAN card and front-panel board that provide improved temperature monitoring and enable dynamic fan speed adjustment for better power efficiency. This smart thermal design reduces fan power consumption by up to 20% and eliminates the power-sharing board for improved efficiency and lower operation costs.